Cloud Architecture brings the internet to a whole new level. It allows powerful programs to be hosted on remote servers and accessed by any internet connected device worldwide. 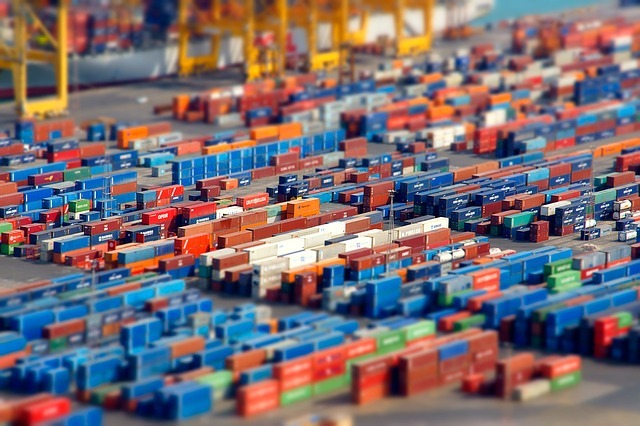 Container Platforms make it easy to build and deploy those convenient cloud programs. Most Container Platforms Solutions and other Native Cloud Applications (NCA) are optimized for performance in a Cloud Environment. Having these powerful tools accessible on the go is great for modern business. It is no longer necessary to bunch up all the workers in the same place during banking hours for collaboration and coordination. Here are some interesting things about Cloud Native (NCA) and Container Platforms. Container Platform based programs can run offline – It is possible to build applications using container platforms that would function without an internet connection. It is not possible for cloud-native applications which are mostly browser-based and its end-points are simply that, user access end-points. However, it is possible to build self-contained fully functional applications on a Container Platform. And some of these programs can be used offline. In contrast, NCAs need an internet connection to function. It doesn’t matter if the internet connection is from mobile data or a hardwired connection. It’s the same. Cloud Native Applications need access to the public network to perform. Container Platforms and Cloud-Native are not the same nor are they interchangeable – Container Platform is an architecture. It is a set of tools, theories, and programs designed to implement Information Technology. It is possible to build Cloud-Native programs and applications using Container Platforms. However, not all Cloud-Native programs are necessarily made using container platforms. Tools such as Docker or Red Hat OpenShift, an enterprise-level Kubernetes, can be used to develop container platform based programs, but it doesn’t necessarily have to be cloud-native. Cloud Native applications are Information Technology systems, programs, SaaS, PaaS and others that are optimized for the cloud environment. They can be built using non-Container Platform technologies such as Python, AJAX, Html5, Java, .net, C and its derivatives, RoR, or a mixture of all of the above. A good example of this is the Microsoft Dropbox. System Containers and Virtual Machines are more or less the same – They are similar in a way that they create a “guest operating system environment” running on a physical machine with its own OS. System containers in effect, replace the need for a virtual machine. Like almost anything on IT, there are pros and cons on using system containers over virtual machines. It would depend on your requirements and what works best with your current infrastructure. Virtualization and Cloud Native are also two different things. Cloud Native systems can run on a virtual machine and on a system container. It is important to remember that a container can be either an application container or a system container. An application container is a program like Cloud Native apps. A system container is a virtual OS executor like a virtual machine. Generally speaking, Container Platforms with their own system container use less hardware resources than a virtual machine. Application containers can be programmed to perform similar functions to a cloud-native app developed using other languages and architectures. Given all that, Container Platforms solutions can do more in the same hardware environment than other architectures, cloud-native or otherwise.